Hollywood makes a lot of movies about cops and robbers and elaborate heists. There are few though that truly break down a good heist, and a good criminal mind as well. Luckily, “The Town” has come to theaters. It proves that an actor who once showed little promise in front of the camera knows exactly what he’s doing in the director’s chair. 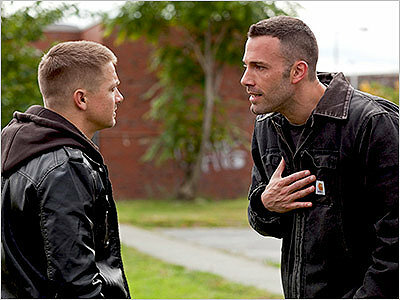 “The Town” is the sophomore effort from Ben Affleck. His debut, “Gone Baby Gone,” was promising but flawed. “The Town” on the other hand is sleek and wildly entertaining. I can’t call it a masterpiece, but I can say it has pretty much anything a good heist movie should have. “The Town” is the latest in a long line of recent movies exploring Boston’s criminal underworld. “The Town” refers to the Charlestown section of Boston, the bank robbery capitol of America. 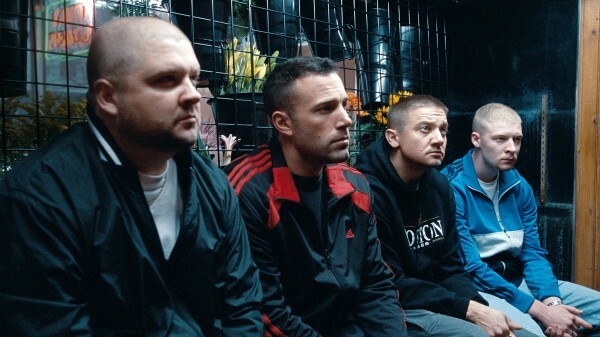 One of the most infamous Charlestown gangs is led by Doug MacRay (Affleck) and includes the hot-headed James Coughlin (Jeremy Renner) who have known nothing but crime their whole life. After one robbery, Doug falls in love with a witness, Claire (Rebecca Hall) and must find a way to balance his career with his new love. At the same time, FBI agent Adam Frawley (Jon Hamm) tries to bring Doug’s crew down. I wouldn’t quite call “The Town” a love/hate letter to the city of Boston; it’s more of a long note of tough love. Despite the pretty corrupt and negative spin on the city, parts of “The Town” made me realize that only someone who has lived in and really loves this city could ever make this film. Between the screaming and random gun fire there is also the occasional beautiful image of someone walking barefoot on a rocky beach and stepping into the calm surf. Affleck also captures everything from the accents to the mannerisms like only a true Bostonian could. With “The Town,” Affleck proved himself a skilled director for many reasons. Besides incorporating his own Bostonian knowledge, he also directs like a pro. The action sequences are some of the best I’ve seen all year. Some of the car chase scenes are as enthralling and suspenseful as anything you could ever see at the movies. What’s most interesting about Affleck’s directing style is that he directs like an actor. There is a subtle, underlying humor throughout and a general sense of affection and understanding for every character no matter what side of the crime scene they’re on. Unlike say, “The Departed” (which this film is clearly trying to emulate), “The Town” is told almost entirely from the perspective of the criminal, and not the cop. It’s an interesting spin, and it helps create an uneasiness of who to root for in the film. True, the feds may be trying to stop future crimes from happening, but haven’t we stuck with the main character for long enough that it’d be nice to see him get away? Also continuing to impress are Hamm and Renner. Hamm proves he can play characters beyond the Don Draper mentality (not to insult his role on “Mad Men” in anyway). Meanwhile, Renner shows that his Oscar nomination for “The Hurt Locker” wasn’t for nothing. He has talent for playing men who constantly stick their middle finger out at society, and always want to be fighting someone. This entry was posted in Ben Affleck, Boston, Heist Film, Jeremy Renner, Jon Hamm, Movie Review, Rebecca Hall, The Town on September 25, 2010 by ian0592. Fine Movie review.Featuring a highly impressive ensemble cast, this smart and stylish thriller is hugely entertaining. Movies add chutzpah and glamour to our life. Without movies, our lives would be completely dull and drab.